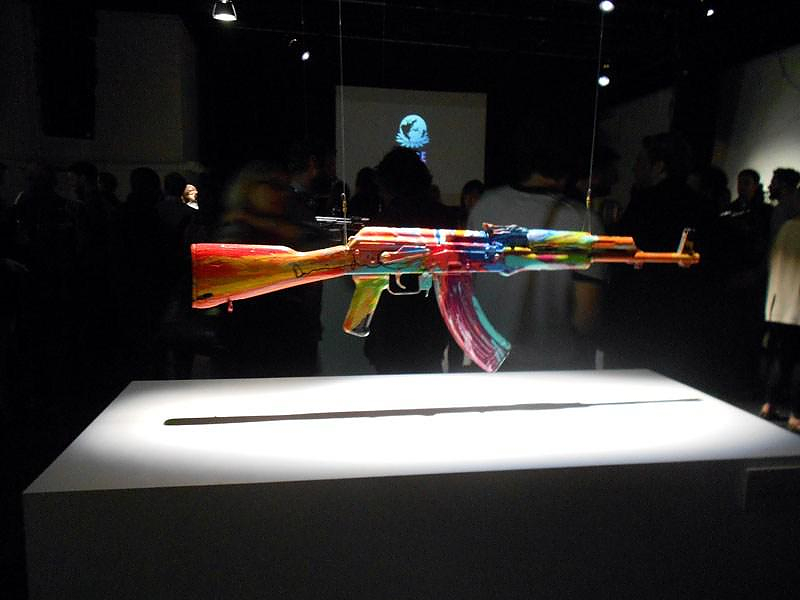 HomeBlogHome DecorDamien Hirst AK47 Spin, for Peace One Day. 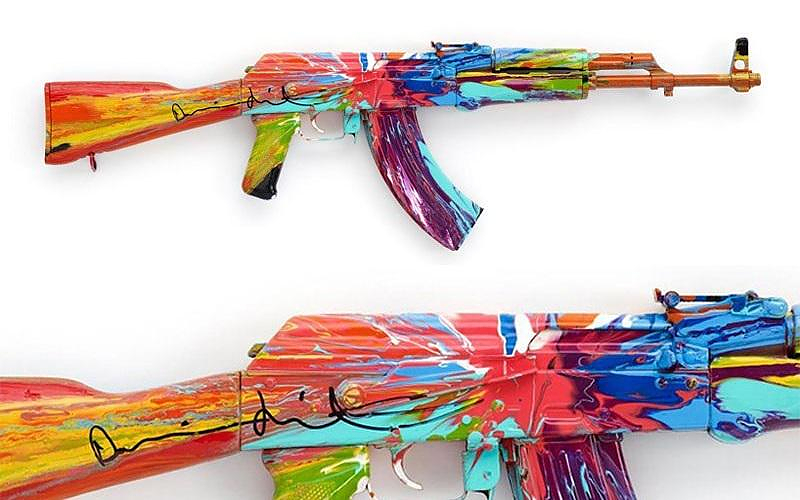 British artist Damien Hirst has crafted an artistic take on one of the world’s most recognizable and destructive weapons, the AK47 Kalashnikov assault rifle. 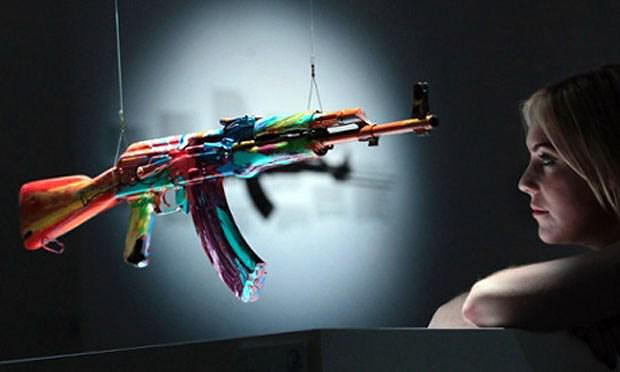 Hirst’s work is part of a charity exhibition at the Institute of Contemporary Arts in London in collaboration with global non-profit peace organization Peace One Day. The project intended to raise money for the organization while also cultivating awareness for the International Day of Peace, which is celebrated on September 21. 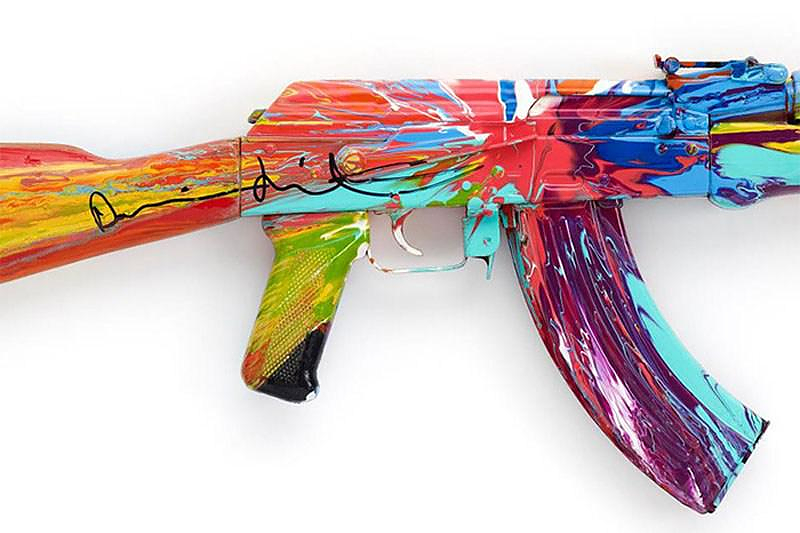 Many prominent artists presented their reinterpretation of AK-47 Kalashnikov assault rifles, recasting a weapon of destruction as an artwork symbolizing peace. A creative reaction against the horror of violence of war. Damien Hirst using his signature “spin painting technique” presented his own unique peace statement. The artworks were auctioned after the exhibition, on October 4th in order to raise funds for peace-promoting activities sanctioned by “Peace One Day”. The artists that contributed to this inspiring event were: Charming Baker, Jake & Dinos Chapman, Mat Collishaw, Jeremy Deller, Nancy Fouts, Ryan Gander, Douglas Gordon, Antony Gormley, Gary Hume, Jim Lambie, Langlands & Bell, Sarah Lucas, Antony Micallef, Harland Miller, Tim Noble & Sue Webster, Marc Quinn, Stuart Semple, Laila Shawa, Bran Symondson, SamTaylor-Wood, Gavin Turk and Rebecca Warren. 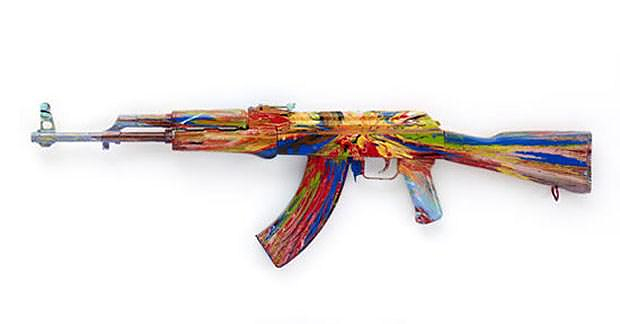 The spin-painted AK-47 Kalashnikov by Damien Hirst was sold for £55,000 attaining a 57.1% increase on its high estimate of £35,000. The fundraiser’s succeeding highest selling artwork was Antony Gormley’s “Silence” which sold for £50,000. In total the auction accumulated £417,100 for the charity. And in all this was a wonderful event that succeeded in raising public awareness for Peace, through art.